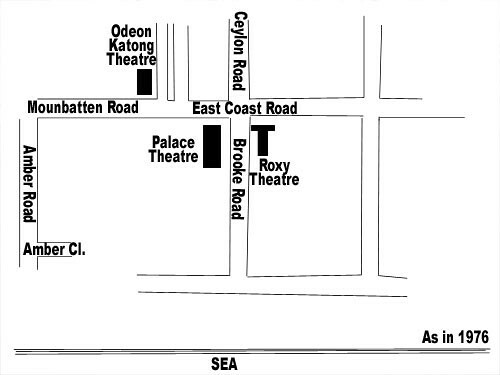 A very informative post about Roxy and Palace theatres indeed. 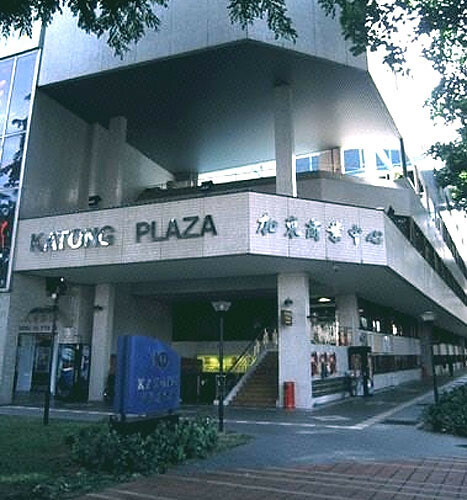 When Katong became my favorite haunt in the late 1970s, they were no longer there. But Odean Katong was still around. I am surprised that you could still remember them. Beside East Gate sits a coffee shop that my friends and I used to call the Lai Lai kopitiam because its below a spa by the same name. I used to enjoy a beer there while watching the traffic go by. Best place to chill out with chicken wings, satay, beer and zhi char. Katong Plaza had this little shop on the first floor called Smash Top 40 music mart. The guy sells casettes at $7 each. I hang around that place every friday between 1.30 and 4.30. If you see a guy in white shirt, black pants school uniform behide the counter, chances are that’s me! Thanks Victor. In fact my memory of Roxy is very faint but the Palace building was around longer. I remember seeing a wuxia movie at Odeon Katong called 虎 山 行 starring Qiao Hung (I think). The title is based on a Chinese idiom 明 知 山 有 虎 …… To deliberately choose a dangerous route so as to surprise your enemy. I just came to know they demolished the former Lai Lai Building next to the Paramount Hotel. From information received, Paramount Hotel and Paramount Shopping Center will also go the way like Lai Lai. For many readers, many are unaware of the large number of bars inside Paramount Shopping Center. At katong shopping complex there are a number of salons. A lot of school boys go there to cut their hair to make them look like aaron kwok. center parting, thick slope. Right jack, i was one of the kids. ha ha , side punk and all kind of crazy cut. When I was still staying at Tanjung Rhu Rd in the late 1950s, I used to go to Roxy to watch the cheap morning shows. Ticket for the morning shows cost only 50 cents. I remember one of the movie I watched was “The Lone Ranger”. My wifes granduncle’s father was the original owner of roxy theatre. The Tans.They were peranakans. They made money from coconut plantations and had lived in Katong for a while. I have spoke to him a few times and he always mentioned fondly of the times back then. They being the rich kids and owners sons didnot have to pay entrys and had even a reserved family box in the theatre. he fondly remembers the bakery and the icecream that used to be so popular. He is also from St Patrick and haha had his fair share of chasing girls by bring them to theatres for free! But i think things changed after the war. They used to live in the peranakan houses opposite Roxy theatre. Juz adding to this heritage thread! Thanks for the interesting infos. I lived in Katong from the time I was born till the time i got married and moved out. 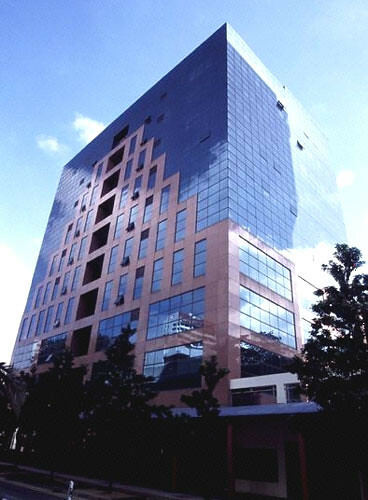 My father still stays there with my brother and my current office is also in the Odeon-Katong Shopping Complex. The picture showing the Palace Theatre in the backdrop of old shophouses…one those there belonged to my grandma who passed it as an inheritance to my uncle. My grandma and uncle used to operate a fruit stall at the bus stop. My dad knows the history of Katong very well. Yea, as a kid growing up in Katong, of course KSC, PP were my favorite hangout places. Yes, at KSC, there was the famous TENPIN bowl..And of course, in PP, i played at the playground on the 7th storey. And I remembered Small WORld in PP, and i loved the candy floss there too. :)Peppermint park in PP…was one of those beautifully designed architectures. One of the laksa shops is owned by my neighbour..and i always watch from my house how he would cycle with a pot at the back of his bike for the laksa gravy. And the story that my parents used to tell me is that they used earthworms to cook the laksa!!! I dont know how true that is. Thanks for bringing back old memories. 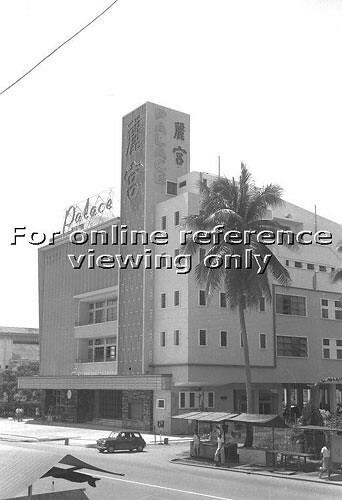 I am interested in finding out more about Odeon Katong’s history.Do you have any more of those pictures? Thanks for your memorable comments. It sure brings back beautiful memories for some of us here. Ha ha, I wonder why is earthworm is always linked to the Laksa gravy??? 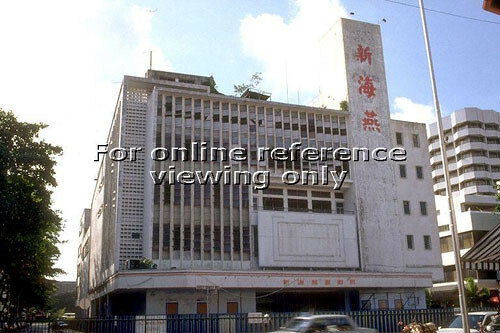 Sorry I don’t think I have any more old Odeon Katong photos. Maybe you can try the National Archives site. Anyone knows the founder of Tay Ban Guan who is today Rumah Bebe? Really? I’m not sure, Vincent. Thanks for the info. I just came across this blog site today.. it reminded me of the days before the sea was reclaimed. When i see Roxy theater i remember my dad’s retail store – “Lucky Star” opposite the Roxy. Its was 59 East Coast road – now turned into another katong laxsa store. I was young growing along the streets of katong – ceylon road, marshall road, joo chiat road. HDB housing were still a concept, so we used to live renting a place for a couple of years and then move again. But we were always in the vicinity. School used to be Seraya Primary – which was at the back alley where St Hilda’s was . Had to pass the Sri Vinayagar temple everyday – so paid my respects tot he gods and then headed on to school. My friends were all kinds then – we were Indians, Malays, Chinese, Peranakans, Eurasians.. never was there any talk of color or creed – just friendship. Played chaptay, gasing (top), kuti2, chang kuda, etc when we were not in school. Parents used to give us a trashing when we were playing too much..but it was all fun. Behind the red bakery was a house that had 2 fierce dogs.. we used to run when they chased us down the alley. Life was so sedate and fun. On Sundays we would hang out at on of the friends homes (Ceylon road) – to watch English football and then play football on Saturdays. Tay Buan Guan came and that was like wow for us when we had the first super market. We loved to hang out there to cool down with the air conditioned atmosphere of food and western tradition shopping. Above Tay Buan Guan used to be a departmental store… it was fun looking at the sales reps there and the kind of things they used to sell. Behind the shops along east coast just along ceylon road and marshall road, there used to be food stalls selling hokkien mee, soup kambing, etc..Teh tarek was the best ever. My friends were Bob, Eddie, William, Saukat, Yakat, Brian, Alen, who i recall some of them. There used to be shops like Bata, Adbul Rahiman (selling toys), Min Tong (Laundary), Provision shop, Smart Tailor, Red bakery, 2 Indian Muslim shops along our shops. My dad used to get the Indian muslim shop workers to teach me tamil – but i could not cope. So i got switched to Malay. My principal in Seraya was Mrs Yusof – who used to be coming to our shop for tailoring her clothes too. My dad was also a tailor, retailer, and my sis and i used to help my parents run the store when we were free. When our store got sold, we were really sad. 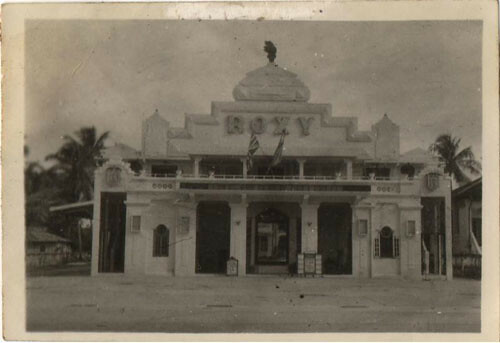 We used to stay next to Roxy Cinema – a place called “wonderland” – next to Joo Chiat Police station. We could see the sea from the back balcony. When the sea was reclaimed and HDB housing came about – that was the demise of Katong. No one cared how it looked. Today – i am extremely sad that Katong has its Red Bakery – cordoned off with planks and that no one is allowed to do anything for it/to it. It would be a great Cafe place for young and old (esp old who can reminisce the good old days). The joo chiat police station has become a nuisance of a place there with electronics and god knows what. Now 112 is up and it has become worse. I remember the workers in Red Bakery those days and how they got old.. I guess we don’t know how to take care of our old….. I am actually sourcing for places that still sells casettes in singapore, does anyone here can recommend any place? Hi Mohan, after reading your post it brings back lots of memories of Katong. I was born in ’59 live next to Odeon Katong, Ean Kiam Place. I went to Fowlie School then to Siglap Sec School. Katong is the place to live then…there are backplane hawkers from Ean Kiam Place to Ceylon Rd, coffee shop owner will roast coffee beans in the morning, prataman will divider the dough in the evening and some time gang fight over black market cinema tickets…there was Circus, Australian Fair at the open land before Katong Shopping Centre was builded. My saddest memory was that I lost my friend who drowned in the canal next to Odeon Katong. To write about Katong you need about a few hundred pages. Thanks for the memories guys! I was a Katong kid as well- born at Paglar maternity hospital, went to school at Seraya primary school with Miss Mannesah as my last teacher. Unfortunately she passed away that Xmas after I passed my PSLE. My father was owner of TAN CHIN MOH at 111 EAST COAST ROAD and was Chairman of Joo Chiat CCC before his retirement and sold the shop to Drs LOH, the husband and wife team of paediatrician and eye surgeon team. I remembered the time during the 1960s race riots and father had to control the crowd entering the shop to buy groceries. Also there were lots of ang mo chiefs from the various military and police services going into the police station , I guess to pow wow! Next to the police station was a dirt road that takes you to the sea. 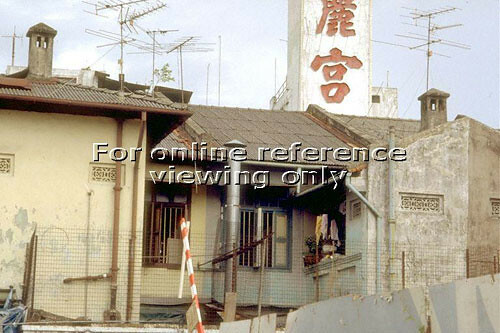 On the right near the main road was a charcoal shop which gave way to Lai Lai. On the left near the seafront was a big mansion house which had jogat dancing every weekend. We kids used to watch the dancing behind the ropes. By the big drain on the seafront there was an India man selling kachang puteh and a Indian lady frying prawn fritters. Anybody out there remember these people? I walked through paramount years ago and indeed saw many night clubs and working ladies in there. Hey Karen, was just wondering if I cld have your email? I’m from temasek polytechnic and am doing a project on marine parade, cld I have some help? Fond memories of Roxy and Katong. Came across your blog and it is interesting to read all the comments. My dad was the Chief of Staff there and I grew up visiting Roxy very often. 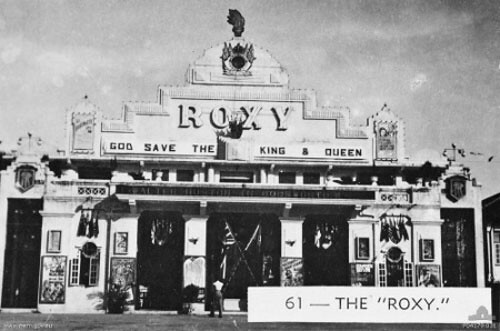 There was a strike at Roxy in February 1962. Yes, I remember most of the places mentioned. Most of my relatives stayed in Katong/Haig Road areas. mabel fong, i wished i saw your comment much earlier. At block 221 boon lay place is a shopping centre, next to lift F & E, theres a shop where the uncle sells cassettes. Everyday you will hear oldies music come on as he plays his cassettes with his super sound system. He isnt making a living out of the business as no one buys cassettes anymore but i believe he kept it as a hobbie and to hang around with older people as theres stone chairxs in front of the shop where ppl play chess and chill out. He is old now. recently, a month back, i saw his shop is now empty and the banner is up saying its for lease. i learnt from my bf who stays right in the same block (above the shopping centre are also residential flats) that the shop actually belongs to the uncle. so he must have hired an agent to rent out the place. so if u can contact the agent, he will be able to guide u to the uncle and i believe he has a room full of cassettes at home now that he has decided to close down the business. i spoke with him once, i felt a strong affinity towards him. the conversation started with me asking him what was the name of the female singer from taiwan in the 80s with the second name as ling. immediately he said Jiang ling and thats when my memory jolted back and said Thats it! thats her name, i remember i was only 4, i know i cant believe my memory was that good at 4, i remember watching this lady on my huge box tv in the 3 room flat singing and thinking she is pretty and song was nice. uncle and i chatted a bit ore before i went upstairs to my bf house. he is a very friendly uncle who i believe have a lot of stories to share, i am sad that i can no longer see him when i walk out the residential lift F.
Wow. Reading these stories sure bring back a lot of memories. I dont live in Katong but my parents were and they would always bring us back here for shopping, makan or just jalan jalan. I remember Tay Buan Guan Building being advertised in little pocket calendars as the first air-con building in S’pore. The supermarket was like heaven for us. The clientelle was for the richer folks and most of the time, we just looked at the good stuff. One day, while handling candies in a rocket shaped container, i dropped the container and the little candies spilled all over the floor. As a 7 year old kid, I was horrified and ran away from the scene of crime. Beside the building was Chiam Dental Clinic that my family used to go to. I never had a chance as the clinic closed down before my tooth started giving problems. Above the supermart was a bookstore that was my favourite. If I close my eyes, I can still smell the wonderful fragrance of the new books in the store. You cant smell ebooks but I’m not complaining as the variable font sizes allow me to read comfortably :).